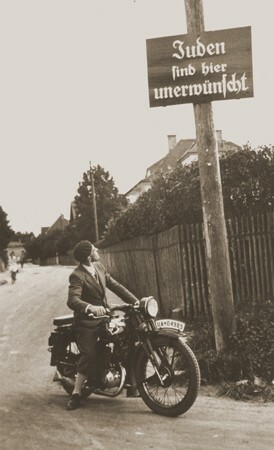 A motorcyclist reads a sign stating "Jews are not welcomed here." Germany, ca. 1935.